A good air conditioner is not cheap to purchase, and its choice should be made on a variety of factors. Each equipment store offers dozens of models, but which air conditioner is better and how do they differ from each other? In the modern market of household appliances, a huge number of ventilation systems of different quality and purpose from a variety of brands – manufacturers. Nevertheless, it is worth noting that not all companies offer high-quality climate products for the consumer with loyal warranty terms and reliable service. That’s why before deciding a split air conditioner price, it is worthwhile to seriously consider which air conditioners which company is better to choose. 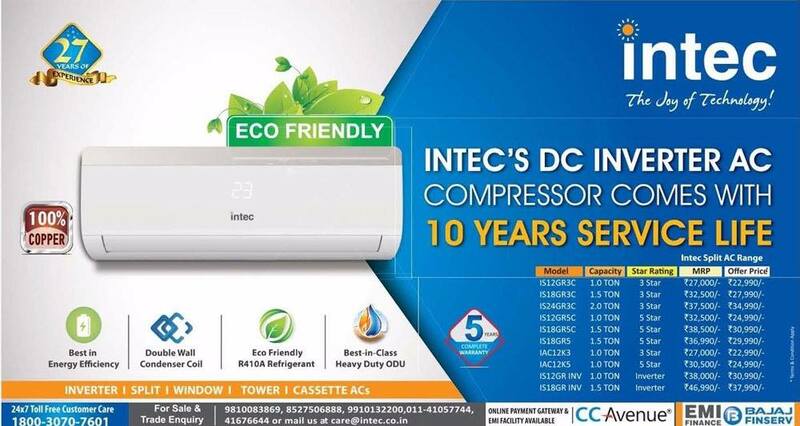 Today, dozens of top air conditioner brands in India are present on the market, and sometimes the price for very similar models varies from manufacturer to manufacturer. To buy a good air conditioner, which will last a long time, you need to understand which products of manufacturers are represented on the market today. Before we begin to divide all air conditioners into “best” and “good” ones, it is necessary to determine by what criterion a classification will occur. Most buyers and sellers determine the “class” of the air conditioner for its reliability, although recently due to active advertising there is a shift in emphasis towards the functionality of air conditioners and the number of additional options. You can understand the best split air conditioner brand in India are not hard to find because adding an “innovation” to an air conditioner is simpler and cheaper than achieving its outstanding reliability. Besides, “innovations” are an excellent informational reason for an advertising campaign. However, the real benefits of super filters, oxygen generators and other options that are important from marketers remain in question. We are sure that the priority of reliability is quite obvious because any air conditioner is bought in order for it to work, but not to repair it. By reliability, we will understand the relative number of air conditioners in which factory defects are detected during the warranty period. Most air conditioners in the first group have developed systems for protection against the improper operation. They are equipped with self-diagnostics and security devices that disconnect the air conditioner in case of improper operation, overloading or in the event of another dangerous situation. With a typical minimum indoor noise level of 24 – 26 dB, it is virtually inaudible. Stable operation over a wide temperature range. Modern design and small dimensions. The lifespan of these air conditioners is at least 12 to 15 years. These air conditioners have a good price/quality ratio and have a high enough reliability. When manufacturing these air conditioners, high-quality components are used. Each of these firms – a full range of models, and the best of them in no way inferior to air conditioners of more famous manufacturers. Even the most budgetary models have excellent characteristics and can last for many years. Next Article Where Cheaper To Buy a TV- Online Or Offline?